Cardiovascular Disease | Live Healthy S.C.
February is not only the month of love in which we celebrate Valentine’s Day, it is also American Heart Month. Raising awareness about heart health is key to combating heart disease, which is one of the leading causes of death and disability in the United States. According to the Centers for Disease Control and Prevention (CDC) (cdc.gov/heartdisease/facts.htm), each year more than 600,000 Americans die of heart disease, which accounts for 1 in every 4 deaths in the country. The heart is one of the most vital organs of the human body. This muscle pumps blood through the circulatory system and supplies nutrients and oxygen to the tissues of the body. Damage to the heart through poor lifestyle habits such as smoking, physical inactivity and diets rich in sodium and saturated fats can cause the heart to not function properly and result in heart disease. Adults who suffer from chronic conditions have a much higher risk of developing heart disease. Adults with diabetes are two to four times more likely to have heart disease than adults without diabetes; people with uncontrolled high blood pressure are three times more likely to die of heart disease; and people with high blood cholesterol have about twice the risk of developing heart disease than people with lower levels (source: DHEC Chronic Disease Epidemiology State of the Heart Fact Sheet, www.scdhec.gov/Library/ML-002149.pdf). It is important to know that there are many ways heart disease can be prevented and treated to maintain a normal lifestyle, and prevent premature death and disability. DHEC’s Division of Diabetes, Heart Disease, Obesity and School Health received funding from the Centers for Disease Control and Prevention to focus on preventing obesity, diabetes, heart disease, and stroke in 15 of the 46 counties in South Carolina. The division is partnering with medical practices to adopt and implement policies and protocols for the improvement of patient health outcomes related to high blood pressure. 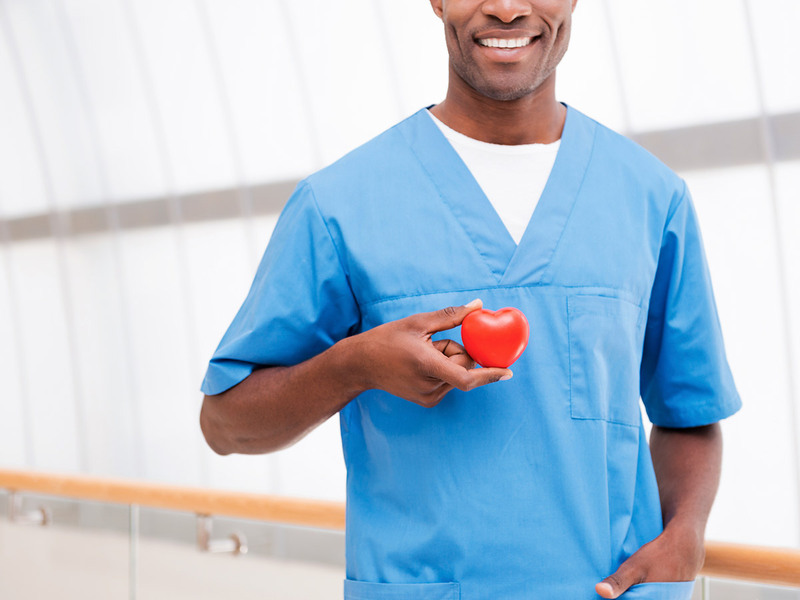 One of the best ways to celebrate American Heart Month is to get involved. Know your numbers. Get routine screenings by your primary care physician to include checking blood pressure, glucose and cholesterol levels. Eat smart. Reduce your sodium intake, and adding more fruits and veggies to your diet. Move more. Add just 10 minutes of moderate activity twice a day. At work you can go for a walk, take the stairs and/or bring a healthy snack to share with your colleagues. Encourage your family and friends to follow your lead by practicing healthier habits for life. There are many partner organizations that are participating in American Heart Month by conducting awareness and outreach events. The Heart2Heart Foundation has been hosting a Statewide Screening Day initiative. This event was created through a collaboration with the Governor’s Office and SC DHEC. Please visit StatewideScreeningDay.com and share this with your friends so they can take advantage of these free screenings! For the remaining days of American Heart Month — and beyond — commit to learning about what you can do to promote heart health and raise awareness about heart disease and heart disease prevention. If you would like more information regarding heart disease and heart healthy tips, visit the DHEC website (www.scdhec.gov/Health/DiseasesandConditions/HeartDiseaseStroke/HeartDisease/) the CDC website (cdc.gov/heartdisease/facts.htm) or the American Heart Association website (heart.org/HEARTORG/). This entry was posted in Community Health and tagged American Heart Month, Cardiovascular Disease, CDC, Centers for Disease Control and Prevention, DHEC, heart, South Carolina Department of Health and Environmental Control on February 23, 2017 by SC DHEC.